Thank you for the excellent breakdown of the material and events to occur soon, @alexb320 I didn't know RTS had a preference for retiring older units at 14 years of age and grades the performance of existing vehicles in service. My guess is that they'll install the electric chargers around or close to UF test out the vehicles performance. As for the photo, I'm flattered that they used mine for something important. 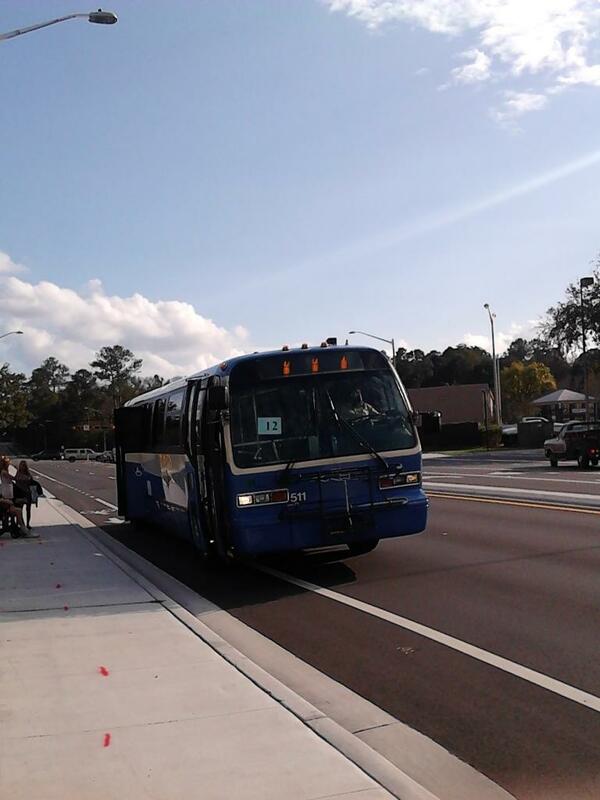 Along with the 800X being introduced this year, RTS will be adding an addition 2 new express routes 901X which will go from Lake City thru Alachua and Butler Plaza Transfer Station along with 902X from Trenton thru Newberry to Butler Plaza TS. That’s an Ex-Gainesville RTS for sure. I asked the poster about the fleet number as it’s hard to see it due to the way it was taken. I’m glad that they have a new life somewhere else. Edit: After looking at a few of the shots I took earlier this year, this unit is #513. Santa Monica BBB #1709 (one of 25 buses ordered) is spotted here at the Aviation & LAX Station on layover. This unit was running on line 3 to Downtown Santa Monica Station via. Lincoln Blvd. Yep and that doesn’t even factor that parts of the city have roundabouts making difficult for an articulated unit to go around. RTS needs to buy more BRT buses and keep them on their busiest routes. What a shame...If possible I’d like them to sold to be resold to a shuttle company. Nice to know 503 & 508 are around. I hope there around for a few years as I’ll buy one if I can. In your other statement, does it mean purchased by a scrapper or purchased and scrapped? Due to the buyers not retrieving their items after the 15 day period, #502 is now back on sale! https://www.govdeals.com/index.cfm?fa=Main.Item&itemid=1347&acctid=4740 @alexb320 Prehaps you can get an RTS now! The Novas still haven’t left the lot and it’s past the 15 day limit to retrieve them. I wonder if they’ll be resold. Found the new schedules that have been printed out a week before fall service starts. Here is a photo of the cover. Unfortunately, route 62 has been discontinued. I assume it’s due to a lack of ridership as it was one of least used routes in the system along with route 39 & 40. Does anyone have an idea of the current roster. The wiki is pretty outdated at the moment. Yes, they’re up for auctioning on GovDeals. 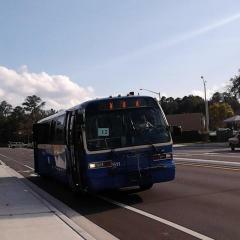 Route 800, a new route and the first express service in Gainesville, will be using the I-75 to go from Butler Plaza to Santa Fe College. I’ll get a recording of this route when it starts on the first day.